"Spending life on the road touring, probably the key thing I look for is consistency. Regardless what Vox I play I’m always rewarded with an amazing tone that allows me to get the most from my playing." 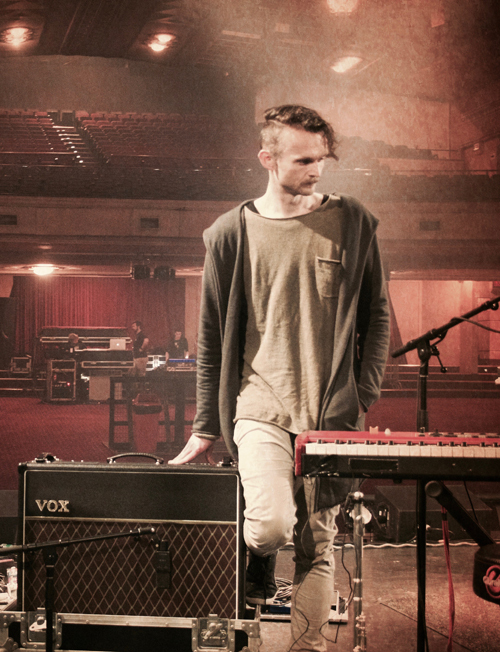 Ross has become one of the most in demand musicians the Australian live music scene. He is always very busy touring the country playing for (Guitar/Keys) and Music Directing a variety of artists. He has played the biggest venues and festivals in Australia (Splendour in the Grass, Falls Festival, Laneway, Groove-in the Moo) and is currently Music Directing for Daniel Johns, Thelma Plum and Eves The Behavior. He also plays for Bertie Blackman, Vera Blue, E^ST and Nicole Millar. Ross has also worked as a production designer bringing artists live shows to life. He specialises in using electronics/software in a live setting and has a keen eye for how to communicate an artists material live on stage. Ross has worked with Daniel Johns, Chet Faker, Vallis Alps, Fractures, Thelma Plum, Eves The Behavior, The Griswolds, Japanese Wallpaper, Hein Cooper, and many more.